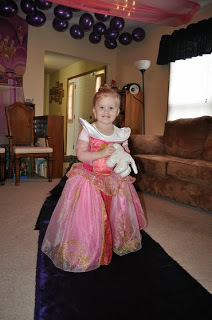 We make a big fuss for birthdays at our house! And why shouldn’t we? It is the one day when you get to truly just focus in on that one person who means so much to your family!! Here are some ideas to make birthdays special and memorable in your house. Birthdays are the one day where you slow down and focus on how special someone is to you. You reflect on how much your child has grown, all the milestones you’ve been through, the precious memories you’ve created together, and usually take time to flip through pictures of them growing up. 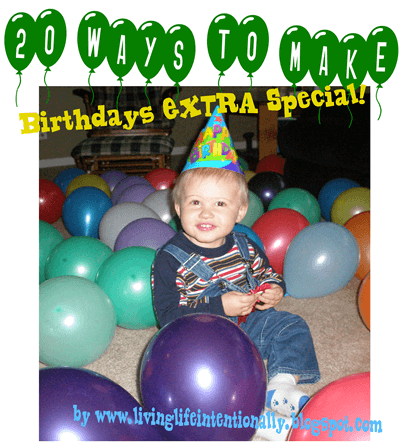 This year make your child’s birthday extra special! 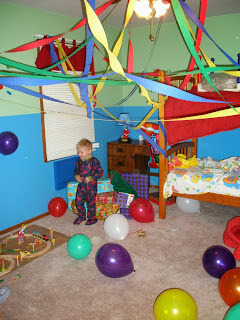 Decorate their room – this can be as simple as putting streamers on their door or decorating the whole room if they are a heavy sleeper. 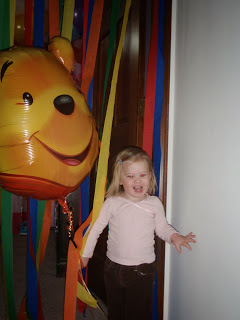 Get your child a special Mylar shaped balloon each year (based on birthday party theme or current interests). This will become a much anticipated birthday surprise! 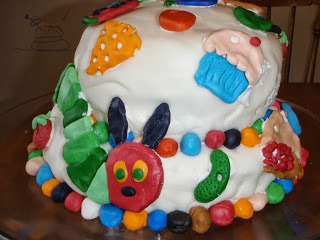 Have a special, traditional birthday breakfast your kids will look forward to. 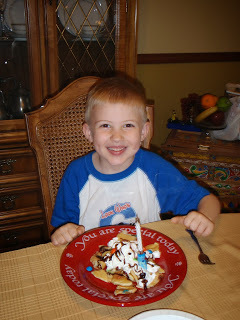 At our house we have M&M pancakes covered with Red whip, chocolate sauce and a cherry on top – YUM!! Our kids look forward to this tradition. I don’t think it matters as much what it is, but that they know what to look forward to & it makes it ‘feel’ like their birthday (out to Panera, waffles, eggs, donuts, etc). We put candles on our pancakes and sing Happy Birthday. It is a special start to their day that even on a workday Daddy can take part in! Make sure to plan a super cool friends or family party at least every couple of years. I know not all families have parties every year and I understand that they are time consuming, can hit the pocket book, and are an extra. But make sure at least every couple years to plan a really cool party with family (or friends) that your child will remember. 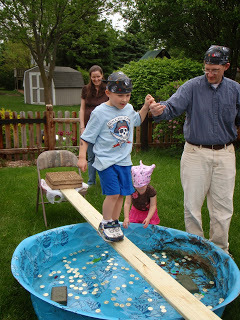 Plan fun, age appropriate games, have a Piñata, decorate, and make it a special day! Tell Everyone – It’s My Birthday! Wear an “It’s my birthday” pin during the day so others will know it is their special day and wish them a happy birthday too! One year we were flying to vacation on Goofy’s birthday (don’t worry, we still did pancakes & had a SPECIAL day). 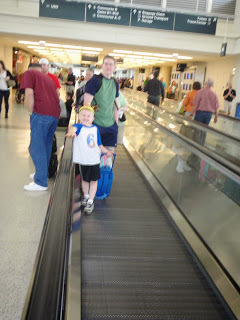 Because I had dressed him so everyone would know it was his birthday the ticket agents all sang & clapped happy birthday (it was like out of a movie – thanks Southwest! ), got to go in the cockpit, and felt super special all day!! Even if you are staying local Wal-Mart, library, and postal service employees have all commented for my kids and made their day extra special! Sing Happy Birthday ON their Birthday too! Sing Happy Birthday – this may seem obvious, but a lot of families only do that with cake & that usually doesn’t happen until their party. How often do your kids get to choose what’s for dinner? Sometimes that’s just not possible. But eveyrone should get to pick what’s for dinner at least once a year! 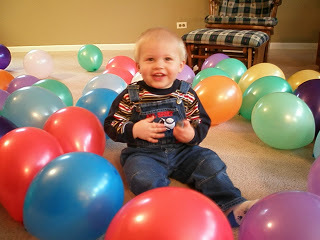 Blow up a lot of balloons for your little tot or preschooler to crawl or run through – they will be giggling for HOURS! Take LOTS of pictures! Again, it may seem obvious…. but so many people forget and then regret it. Your child will only be that age once – make sure to snap some memorable pictures! Of why not make it a tradition to always have your son take a picture by a certain stuffed animal so you can see how he grows? Even if it is on a weekday – DO SOMETHING SPECIAL! 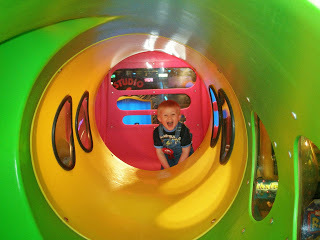 My daughter just wanted to go to the mall to play in the play area =-) Maybe they get to play a video game, a favorite board game, got on a walk, visit a park, zoo, Chuck E Cheese, pool, etc. Say Happy Birthday all day! Take the time to make or buy a special cake. 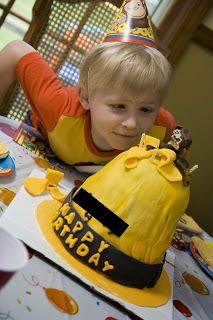 I know it takes extra time, but many childhood birthday memories are about the actual cake. Plus it will be in lots of pictures. Tell them How Special They Are! At bedtime time as you are all gathered around to read books & tell a Bible story, have every member of your family say a couple things they love about the birthday person. This is a great way to get everyone involved, to learn about encouraging others, and to make the birthday person feel especially blessed. 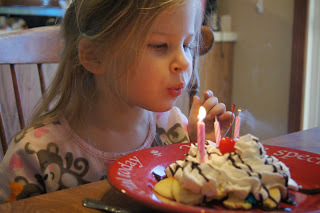 Pray over the birthday girl/boy – thank God for them and pray a prayer of blessing for them. Take a moment to update their baby book and write them a special letter telling them what they are like, their interests, cute/unique things about them, and how much they mean to you!